Anesthesia is one of the easiest and most scoring subjects. Students can’t afford to get Anesthesia questions wrong since it will adversely affect their ranking. Anesthesia questions form a part of Surgery questions in NEET-PG. Usually, 4-5 questions are expected from this subject in the upcoming exam. 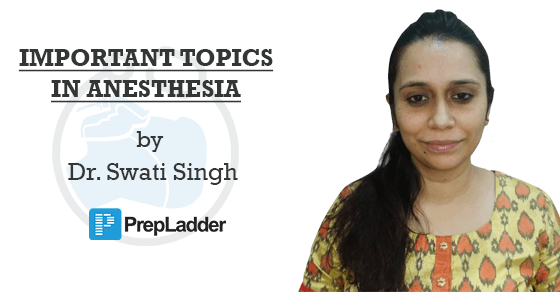 With a view to make your preparations more effective for Anesthesia, we approached the famous faculty of Anesthesia, Dr. Swati Singh to familiarize you with the most important topics from NEET-PG perspective. The app includes video lectures covering entire Anesthesia, Tests with Video Discussion, Question Bank, Free daily updates and much more.